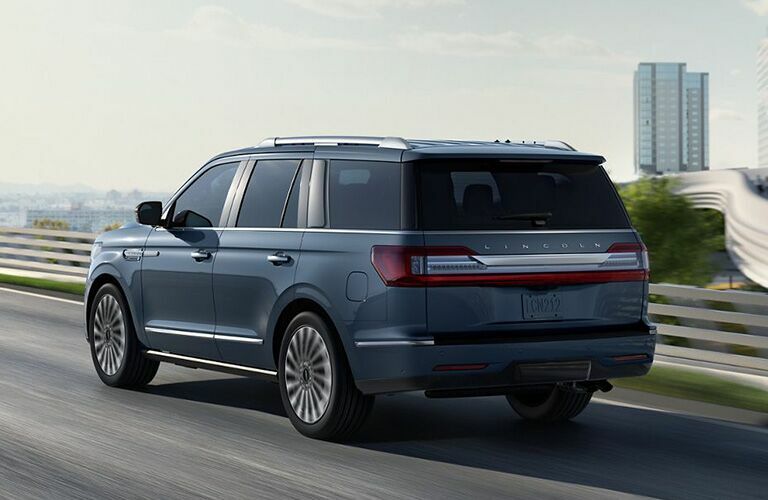 If you live in the Kingston-area and are looking for a luxurious full-size SUV, then look no further than the 2019 Lincoln Navigator at James Braden Lincoln! With its elegant design, impeccable luxury, excellent performance, a roomy and refined interior, and a wealth of premium features, the new Navigator impresses on many levels. Take it for a test drive at James Braden Lincoln! The 2019 Navigator delivers excellent performance with its robust 3.5L Twin-Turbocharged V6 engine. With its electronic multi-port injection system, it churns out a mighty 450 horsepower and 510 lb-ft of torque. The engine is mated to the smooth and efficient SelectShift 10-Speed automatic transmission. Both the front and rear suspension come equipped with coil-over shocks for a smooth ride, while the Adaptive Steering provides a responsive driving experience. Do you have towing needs? The 2019 Navigator can tow up to 8,700 pounds (3,946 kg). And for driving over challenging terrains and in adverse weather conditions, you can get the available all-wheel drive system. It’s easy to stay connected to your world in the Lincoln Navigator. The SYNC 3 infotainment system has a plethora of useful apps, features, and services, including Apple CarPlay and Android Auto, which enable you to seamlessly access the features from your smartphone via the touchscreen in the Navigator. The in-vehicle Wi-Fi hotspot enables you to connect up to 10 devices, while the wireless charger ensures that your smartphone will always have enough power. 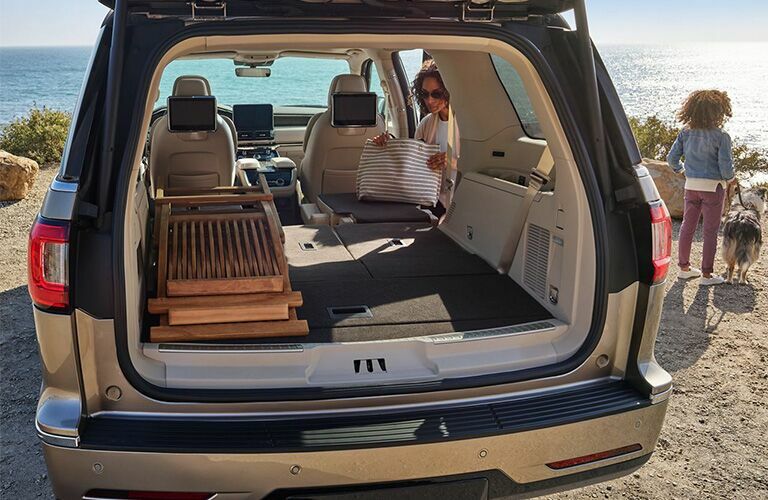 And with the rear-seat entertainment system, which features 10-inch adjustable screens on the back of the front seats, your kids will be well-entertained on your family trips. 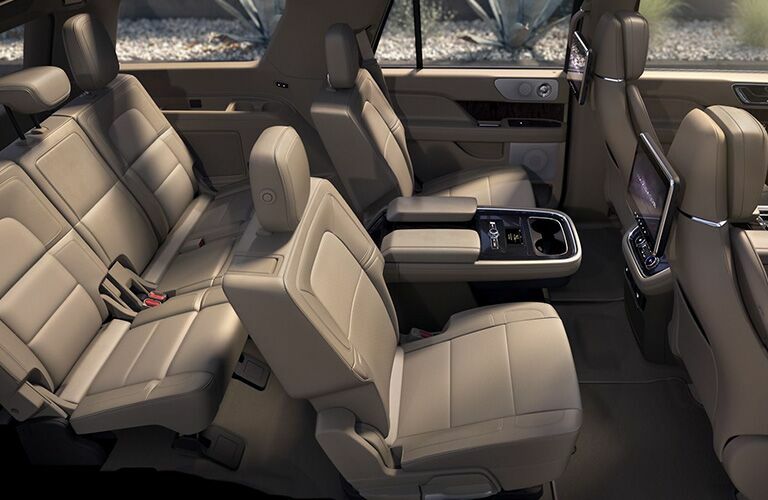 The cabin of the 2019 Navigator is very spacious, with the ability to comfortably seat up to eight people and a total passenger volume of 172 cu-ft (4,871 L). There’s a generous amount of storage space as well, with a maximum cargo capacity of 120 cu-ft (3,398 L). 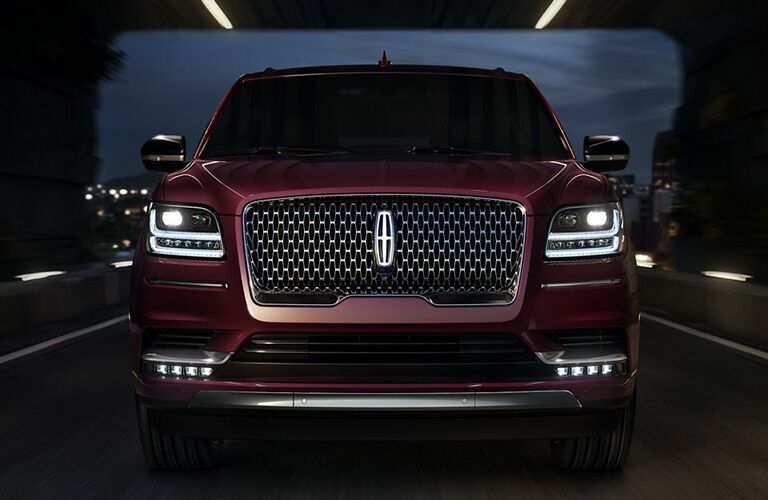 Would you like to get behind the wheel of the luxurious, spacious, and sophisticated 2019 Navigator? Visit us at James Braden Lincoln!